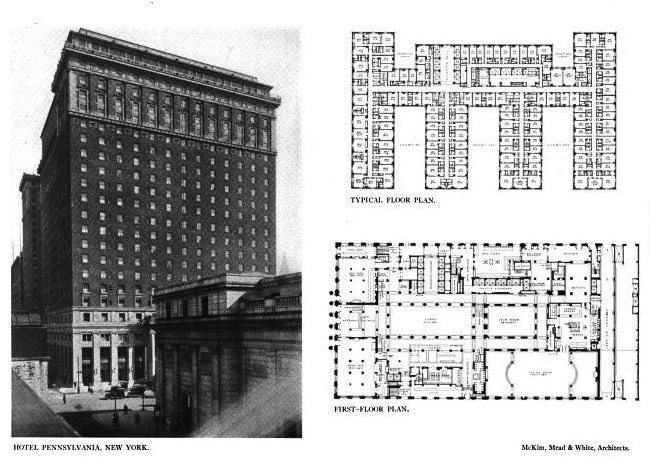 The Hotel Pennsylvania designed by McKim, Mead & White c. 1919 on 7th Avenue between 32nd and 33rd Streets in New York City. Click HERE for more on the Hotel Pennsylvania. The hotel is scheduled for demolition. 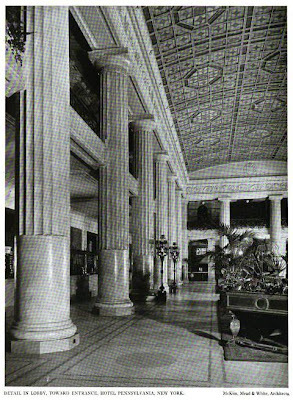 Click HERE to see the Hotel Pennsylvania on google street view. It is actually between 32nd and 33rd on 7th Ave. 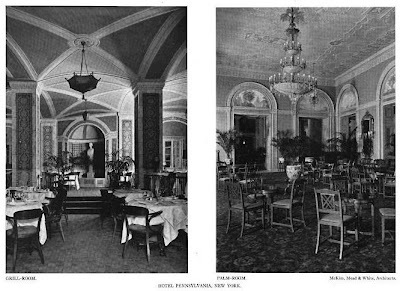 Does the hotel still retain the grandeur of these photos'? 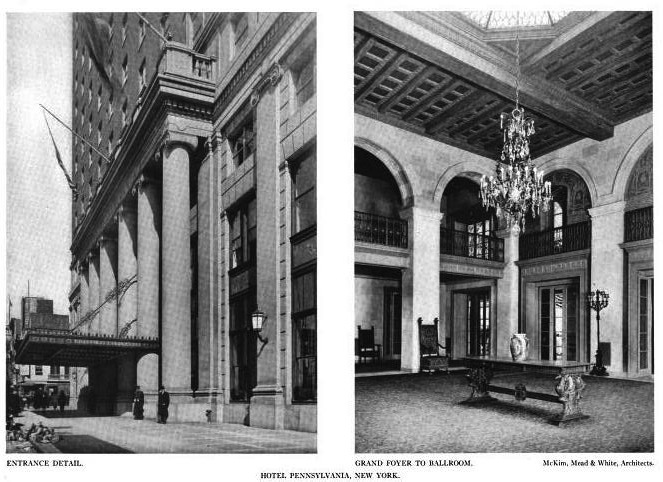 How sad to have survived this long only to fall to the wrecking ball...haven't they learned anything from the demolition of the original Penn Station. Unfortunately while the facade is worn but still regal the interiors have been horrendously butchered or lost completely. 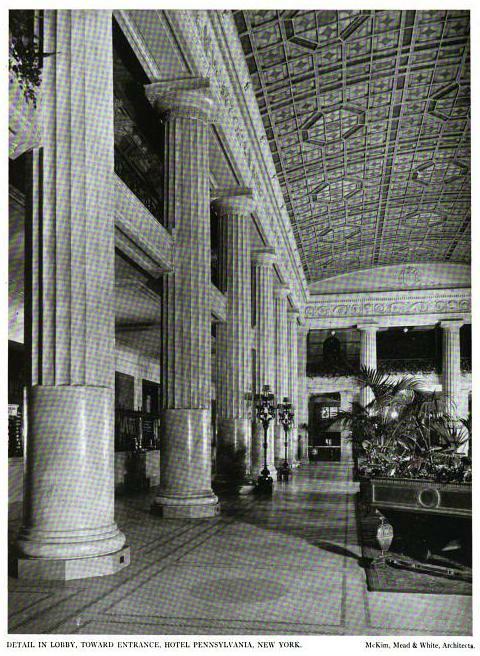 I cannot understand how any organization that had such a wealth of elegant architectural interior spaces could end up treating the hotel so poorly by "modernizing" to the point where it is indistinguishable from a motel 6. Demolition will put this gem out of its misery. Agreed about the endless need to butcher and 'improve' what rarely needs improving. Sadder still to contemplate how much has been lost--this dates back to an era when private buildings were built as civic ornaments---think of this in context with Penn Station and the Post Office Building. It's not just the buildings that are lost, but the sensibility. DED so right. Go to any town center or an early 20th Century suburban neighborhood and what stands out? The impressive bank buildings, post offices, churches, schools and libraries. Even commercial strips used terracotta and limestone details and bore the builders names proudly. One took so much pride in building structures that were supposed to last & contribute to the community as a whole. Today we build disposable architecture, easy to put up and easy to strip down to the steel frames and reclad in the latest plastic, polystyrene and/or glass facades. Amazingly, you are soooo right about this and yet soooo wrong about CPH Gilbert. Thanks for adding the google street view. 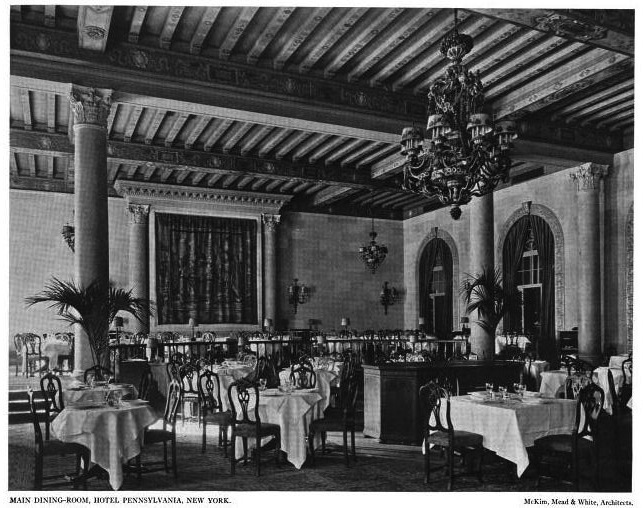 Unfortunately it also has a link to the hotels website where you can view the incredibly sterile one story lobby (notice the same mosaic/geometric floor pattern as pictured in the older photo of the two story lobby) and the bare bones ballroom/conference room area located on the upper floors, totally stripped and devoid of any original architectural ornament and detailing pictured in the older photos. Sorry to say demolition can't come soon enough for this tortured building. Just looking at this site. I use to work there as a manager. 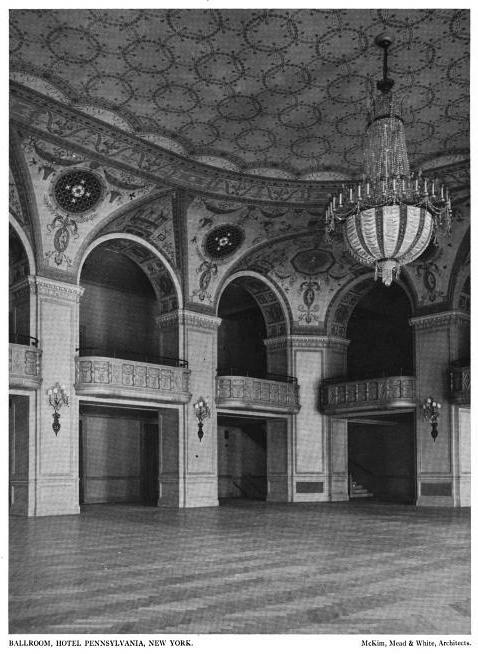 I think the chandelier is still in the Grand Ballroom but covered up. 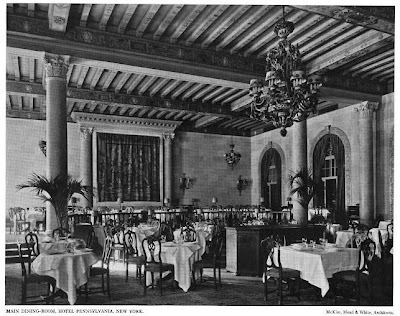 Most of the original Architecture is still present in the Cafe Rouge. Just need to be brought back. The rooms are about the same with the original doors. The hallways have been stripped of the plaster work. The basements have not changed much at all.